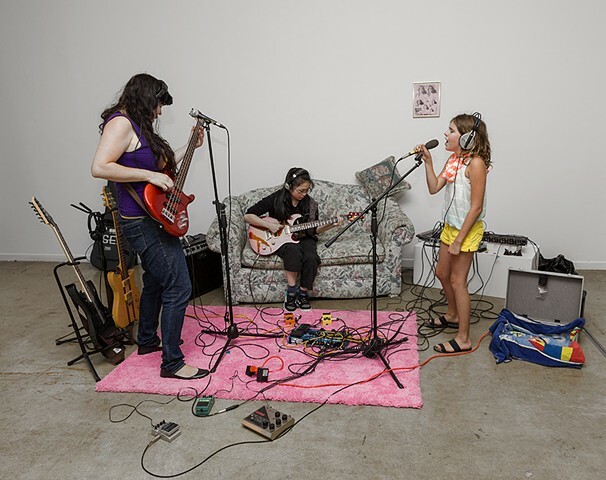 Transforming part of the gallery into a functional music rehearsal space, I paired teenage girls with adult female musicians to play music together during gallery hours. Thanks to a partnership between Rock Camp for Girls and La Centrale, three Montreal musicians - Jackie Gallant, Becky Foon and Amy Torok - committed to three jam sessions each with a small group of young female musicians. In this way, this project aims to establish inter-generational connections in the Montreal music scene, while engaging teenage girls in creative learning opportunities.